If you love your gaming shows full of retro computers to play, developers to talk to and items to buy, then 2016 is a bonanza of fun. As not only do we have the London Gaming Market due in the next few months, but PLAY Expo Blackpool 2016 and PLAY Expo Margate 2016. That's just three of the recommended shows you should be a part of, if you're buying or just playing! 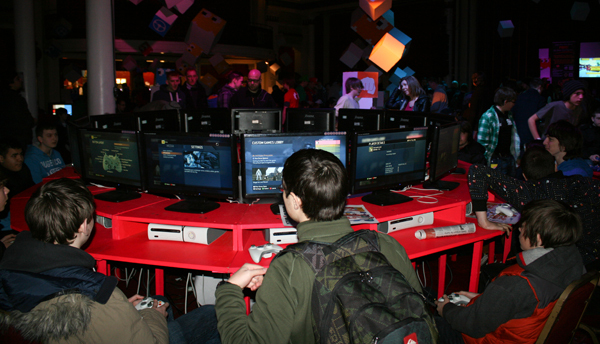 Firstly The London Gaming Market gets a mention,which begins on Sunday April 3rd, at the Royal National Hotel. Russell Square London WC1H 0DG, and according to the host is the place to buy retro video-games, board games and merchandise all in one place right in the heart of the city. The next show at the top of its class, is the Play Expo Blackpool, which begins on April 30th to the 1st of May 2016 and while it is a lot further from home, that doesn't mean it's any less impressive. It's one of the greatest gaming Expo's you can go to, full of Retro Consoles and Computers, Classic Arcade Machines and Pinball, Indie and Modern games for PC and Console , Gaming Tournaments, LAN Gaming, Cosplay Contests Board Games, Merchandise and much much more! As they say " The UK’s favourite Arcade, Indie & Retro video gaming expo "
The last gaming Expo to be mentioned is the great ' Play Expo Margate ' from the 23rd to the 24th of July 2016, which in my opinion is the only show you should be visiting if you live anywhere near Kent! Not only is it full of retro computers and consoles, but it has arcade machines, competitions, cosplay, merchandise and some very nice food including CHIPS!